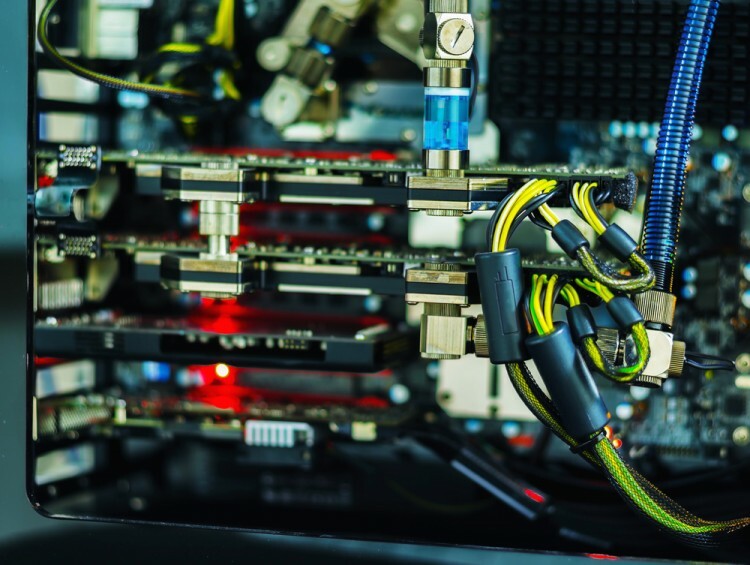 It’s hard to estimate what the 6 most powerful GPUs on the market in 2015 are because there is a lot that goes into a system that can utilize them. You can use them in various configurations with various CPUs, and they would yield different results each time. Just like with the phones that run the 11 Android games with best graphics, you can’t simply put a performance score based on the numbers on the box. For this reason, this countdown will use data from the ultimate authority in GPU testing – FutureMark and how their 3DMark graphics benchmarking software ensemble has ranked private and user submitted scores in the past month. You would be surprised to know how similar GPUs are to CPUs in terms of basic functionality. Probably the biggest difference between them is that the latter had existed for decades before computers became advanced enough to require a boost in their image processing and output abilities. It is known that certain systems, including arcade gaming machines, used video accelerating hardware in the 70s which was mainly manifested in case-specific, very limited devices which only worked on the system they were produced for. What we can call a very primitive GPU (but very advanced for its time and application) could be found sitting comfortably inside one of the first widely available computers – the Commodore Amiga 1000, livingly referred to as the Amiga by anyone who was lucky enough to have one. That GPU was able to draw lines and shapes and fill them, had its own frame buffer and a primitive set of instructions that allowed the system to handle image output without relying on the CPU itself. Before that, most computer systems would use the CPU to render images on a screen which was slow and inconvenient when you needed real time updates. To put it simply, a GPU nowadays is a whole sophisticated processing unit by itself, working in a similar way to a CPU, only it is oriented towards rendering video. However, GPUs didn’t get much better than what you could find in the Amiga until the 90s. The first graphics processing unit that was capable of rendering polygonal 3D graphics came with the Namco 21 and the Taito Air systems, both used for gaming purposes all the way back in 1988. Computers received 3D graphics capabilities a few years later but throughout the early to mid-90s, PC graphics were mainly limited to Windows OS specialized graphics accelerators. What is more, 3D graphics cards came as separate discrete circuit boards because having 2D and 3D rendering capabilities on one board was unheard of until the mid-90s. This decade also saw the emergence of the most widely used graphics APIs – DirectX and OpenGL. By the end of the decade, there was already a host of 3D supporting GPUs available to the market with games like Half-Life: Source and its mod – Counter Strike 1.5 hitting the market and changing the way people would go on to perceive games for years ahead. Aside from that, computer animation became more and more widely available and easy to utilize due to the technological advancements that continue to this day. If you are younger, you probably owe at least one of the most fond memories you have to the availability of a GPU that could render whatever impressed you so think about that. We’ve come a long way from there. Each year there is something more to impress you and the world of computer generated images and animation is getting frighteningly similar to reality. Let’s take a look at some GPUs that make that possible.